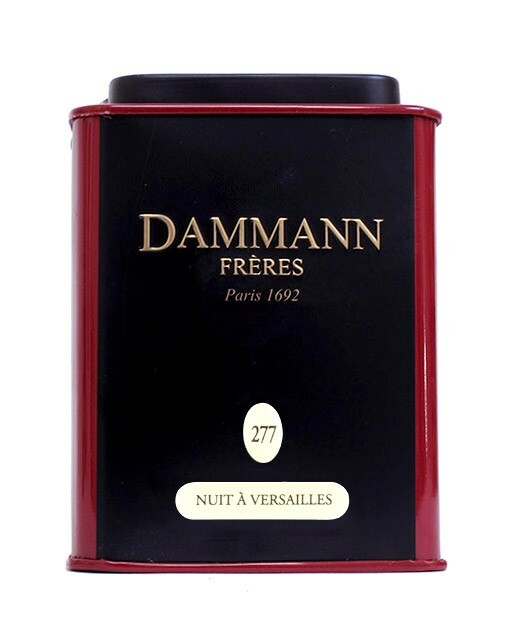 Thanks to the tea Nuit à Versailles, revisit the flavors of the Versailles gardens of the seventeenth century. 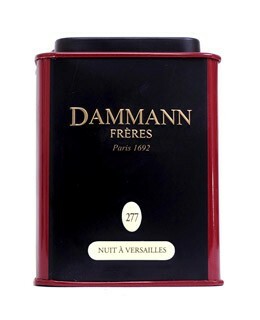 On a basis of Sencha tea from China, Dammann Frères added essential oil of bergamot, petals of orange blossom and pink cornflowers petals, aromas of kiwi, yellow peach, orange blossom and flower violet. Result: a royal tea. 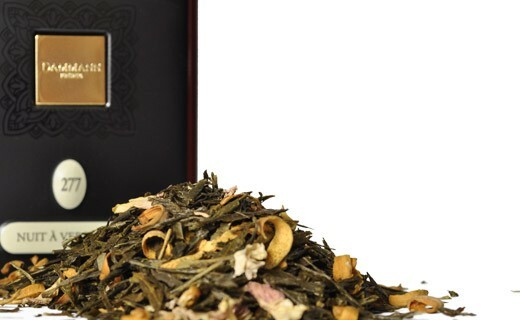 Sencha green tea from China 93.5%, orange flower petals and blueberry 4% essential oil of bergamot flavor kiwi, fishing june, orange blossom lily and violet 2.5%.